For my first blog post in December, I had big dreams. It would be Christmas on steroids and the perfect way to kick off *Blog A Lot December* #BALD. Clever huh? Instead, December was kicked off in a way I never expected. For those of you who don’t know, I have been with my partner Aaron for 7 years (almost, our anniversary is on the 22nd December) and we have lived together for 2 of those. We’ve always talked about marriage and we knew it was something we saw in our future. HOWEVER, what I did not expect was it to happen when it did! I mean, you’re not suppose to expect a proposal but I literally had no idea. We had just finished decorating our house and tree for Christmas and Aaron said.. ‘i’ve made you something’ and I was like ‘ohh cake!’. I don’t know why my instincts when straight to food, but hey, that’s just the kind of girl that I am. He said, you stay here (in the living room) one second and i’ll show you. He came back, holding a glass Christmas decoration and said he’d made it for us. It had lots of loose glitter inside and all over the glass bauble it had numbers and words that are special to our relationship. I thought it was really sweet and went to hang it on the tree, however..I noticed more writing on the bottom and as I spun it round to read it, I just glimpsed the word married and think I screeched OH MY GOD! Aaron then got down on one knee, took the decoration off me and opened it up and pulled out a RING from the glitter! I think all I said for solid minute was, oh my god oh my god oh my god! He had a lovely speech and I forgot to say yes at first, forgetting you are actually supposed to answer! He then put the ring on my finger and it fit perfectly. He has been so sneaky and had the ring for two whole months, hidden away in his bedside table! I can’t believe the thought and planning he went to! I am honestly the luckiest girl in the world. It was the perfect setting for a proposal. I never wanted a big public thing, with strangers or even family there. I wanted it to be just us two. Our Christmas tree was in the background with all the fairy lights and it was just perfect. I had unwashed hair, no makeup on, my jogging bottoms on with a comfy jumper and no bra. I wouldn’t have changed it for the world! We are planning on having a long engagement (at least a couple of years) and are going to enjoy every second of it! The bauble he made now has pride place on our tree and I am going to cherish it forever. I want to thank you for all your lovely messages on Twitter, it honestly meant so much to us! 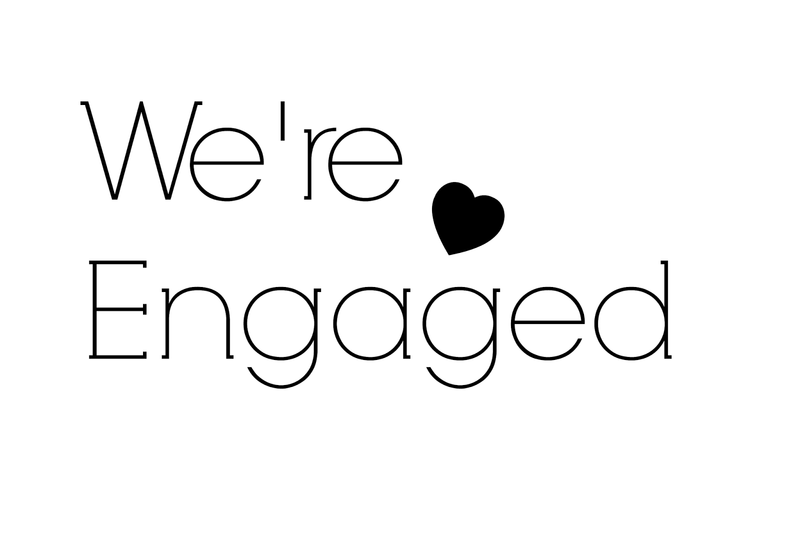 I’m so excited to share lots of engagement/wedding themed posts with you, in the future! 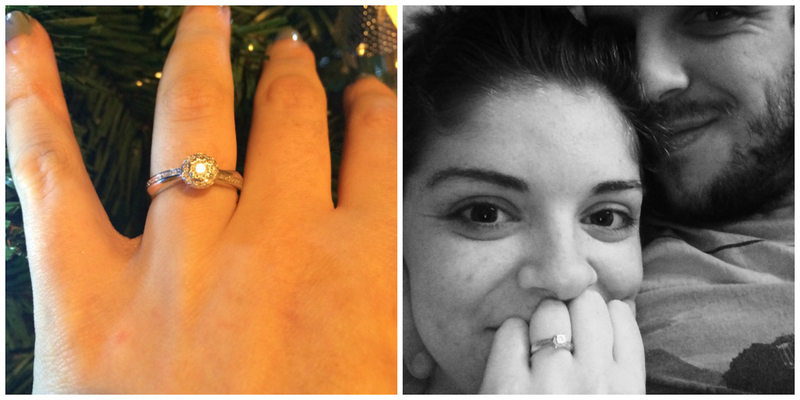 Tags: 2015., Blogmas., Engaged., Life. Previous PostClean & Clear | Budget Skincare. That's so sweet! I completely agree – an engagement should be private between the two of you, yours sounds perfect 🙂 congratulations, i'm really happy for you!